Isn't Lake County a -- erm -- County? Your LakeCountyEye must admit that as governmental bodies in the State of Illinois go, Cities and Counties are totally different things. Totally. 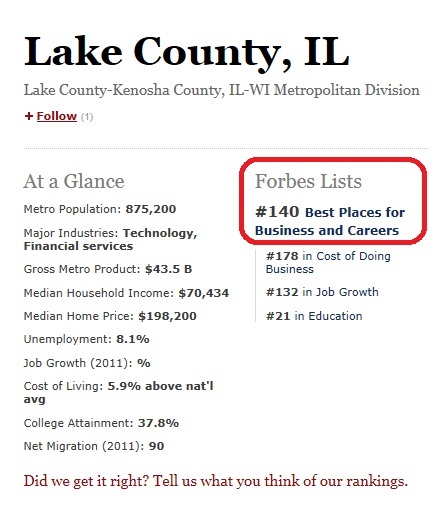 But, not being Forbes magazine, what does your LakeCountyEye know? The Chicago suburb is one of the richest counties in the U.S., as measured by per capita income. But home prices are down 29% over the past 5 years. Other drawbacks: long commutes and lousy weather. If You Don't Like The Weather in Lake County ... Go To Hell. 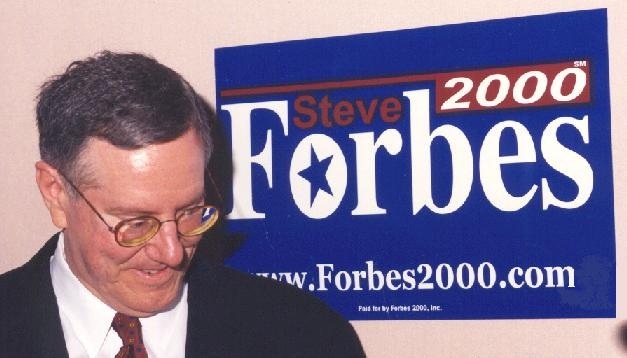 Your LakeCountyEye suspects that Forbes lumped the non-municipal Lake County together with the likes of Rockford, Gary, Detroit, Flint, Stockton, Toledo, Camden and other municipal train-wrecks, to sell more of their magazines in one of the richest counties in the United States. If nothing else, this tells your LakeCountyEye that they don't sell any of their Forbes magazines over in McHenry County. As they say, in politics, if you have a problem hang a lantern on it -- Lake County ought to incorporate and become the Village of Lake County. Your LakeCountyEye likes the idea. Taxpayers would be trading a county tax obligation for a much lower municipal tax obligation. And if nothing else, your LakeCountyEye could hope to stop being called for jury duty. In related news, Lake County Board Chair, Aaron Lawlor, has announced that he will be a candidate for Mayor of Lake County.